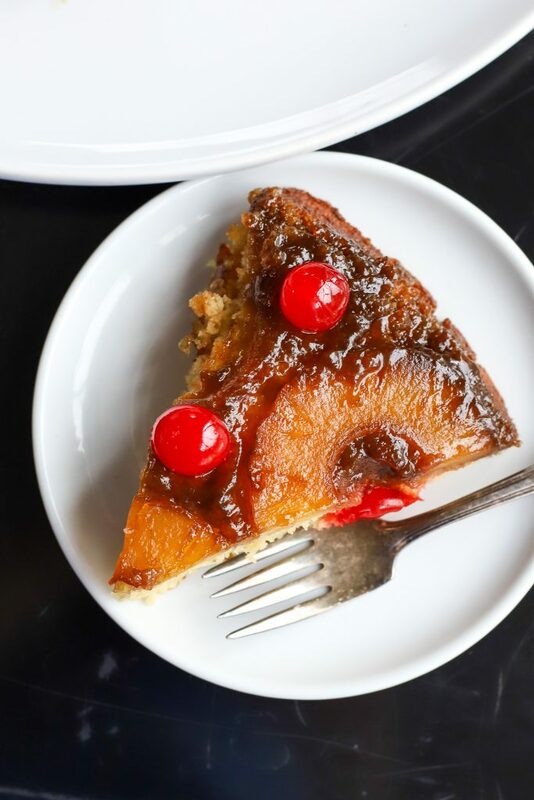 This skillet pineapple upside-down cake is flavorful, moist, and has that signature gooey topping that makes it a one-of-a-kind treat. Made with both Golden Barrel dark and light brown sugars, this may be your new go-to recipe. Mitch and I went away for our anniversary about a month ago. We didn’t go far–about 3 hours away to a quaint mountain college town–Lewisburg, PA. It was great. We got to eat at amazing local restaurants, went shopping at small businesses, and antiquing–which is all the things I love. I’m not too hard to please. Give me some yummy food and take me to a few thrift stores and I’m good to go. As we were walking around town, we meandered into a book store where I instinctively headed toward the cookbook section. I started flipping through one in particular which was all about Sunday dinners. I loved it. It outlined a year’s worth of Sunday dinner menus from main course to side dishes and desserts. I showed it to Mitch who later surprised me with it after we were home. This is one of those recipes in that book. 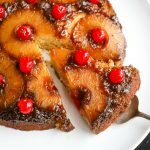 I have always loved pineapple upside-down cake. 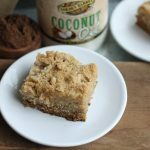 I’m a huge fan of anything that has a brown sugar topping. Yum. 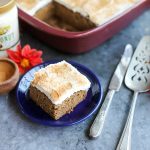 There’s just something about brown sugar and butter…gets me every time. 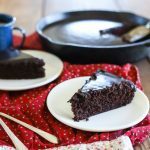 This recipe is made right in a cast iron skillet, which, if you know me, I love baking in skillets. I love the rusticness of it all. 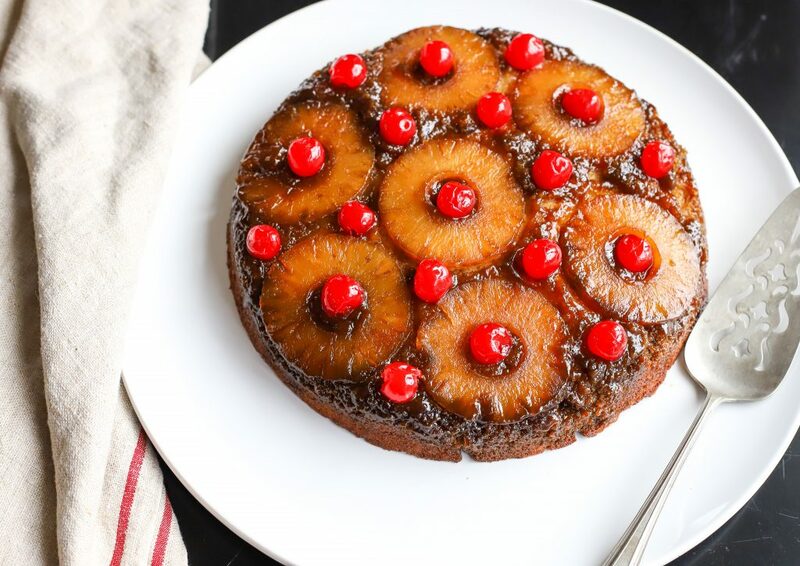 You start this recipe right on the cooktop, melting butter, adding dark brown sugar, and pineapple juice. Stirring that until it thickens. So this topping is more of a caramel consistency. 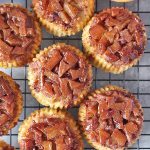 The brown sugar does harden and get crispy (my favorite part) around the edges. It’s just so good, you guys. And the cake part is full of flavor as well. 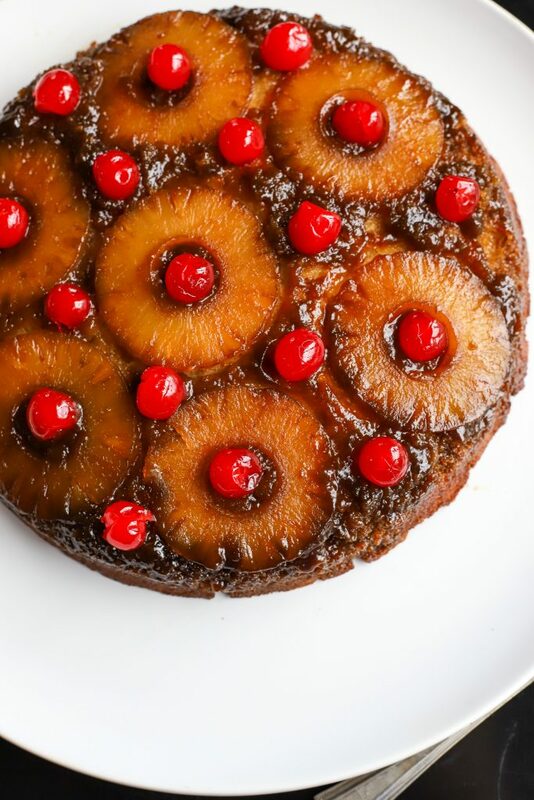 That’s one thing I’ve read about pineapple upside-down cakes when I was researching–a lot of times the cake part can be dry and not flavorful. But that’s not the case here. This cake is really moist and buttery–the perfect accompaniment to the sweet, gooey topping. I baked mine for 45 minutes exactly but was a little worried that was too long. My worry was put to rest when I sliced into it and it was done perfectly inside. That’s another thing I read–sometimes these cakes can be underbaked. So be sure to bake it for the full 45 minutes. You can stick a toothpick in the middle, but because of the goo on the bottom, that can sometimes get tricky to read. If you’re unsure, bake it a few minutes extra. You’ll notice the topping is pretty dark. That’s because dark brown sugar is used here. So don’t worry! This topping isn’t burned. It’s done perfectly and has amazing flavor. 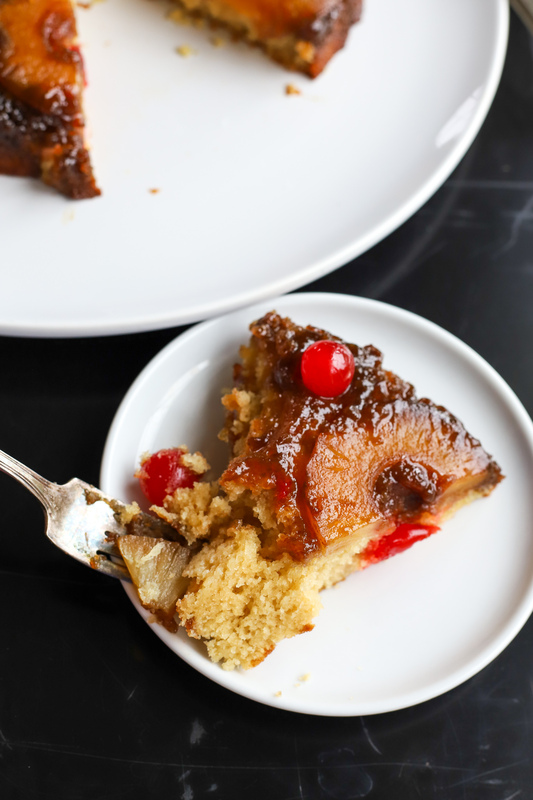 One tip–place the cherries on the cake after it’s baked and inverted. That keeps the cherries looking bright and fresh. 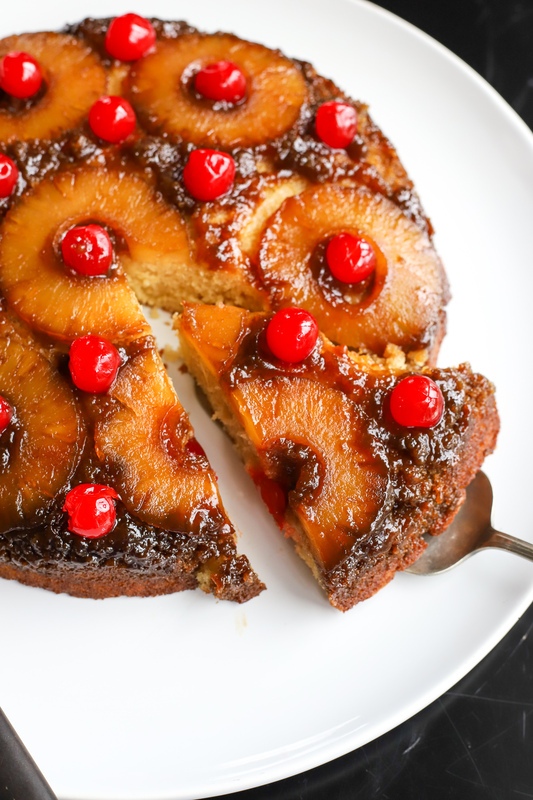 So if you’re a fan of pineapple upside-down cakes, give this one a try. It’s sure to become a favorite at your house! 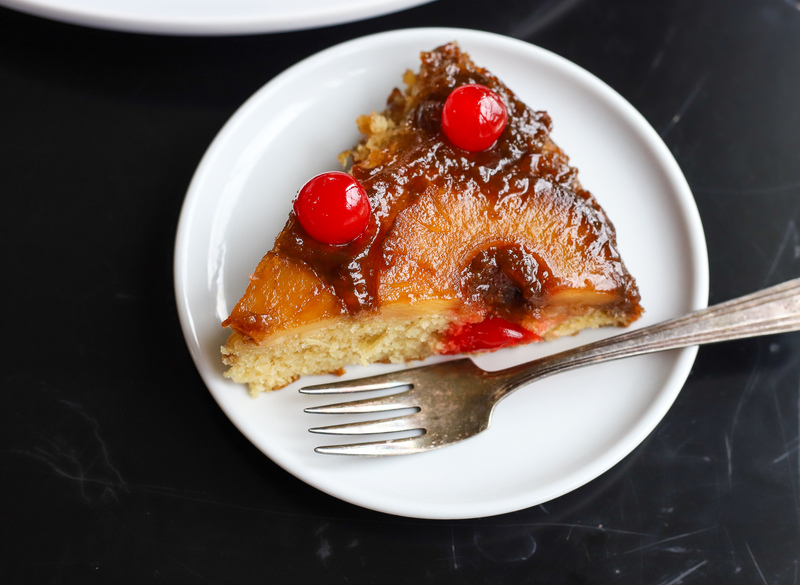 Moist, full-of-flavor, and oh-so delicious, this pineapple upside-down cake uses both dark and brown sugar and is a must-try! Heat an 8" cast iron skillet over medium-high heat. Add butter, pineapple juice, and brown sugar, stirring until liquid boils and starts to thicken, about 5-7 minutes. 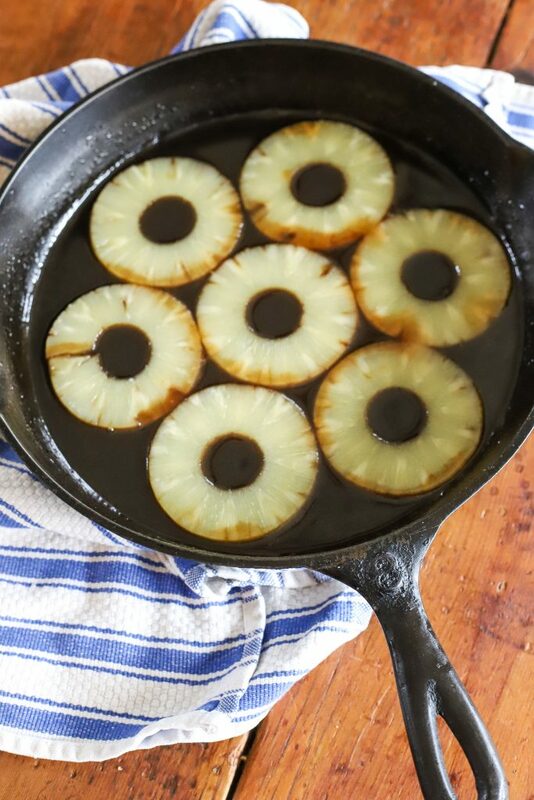 Remove from heat and arrange the pineapple rings in the liquid, working from the outside in. 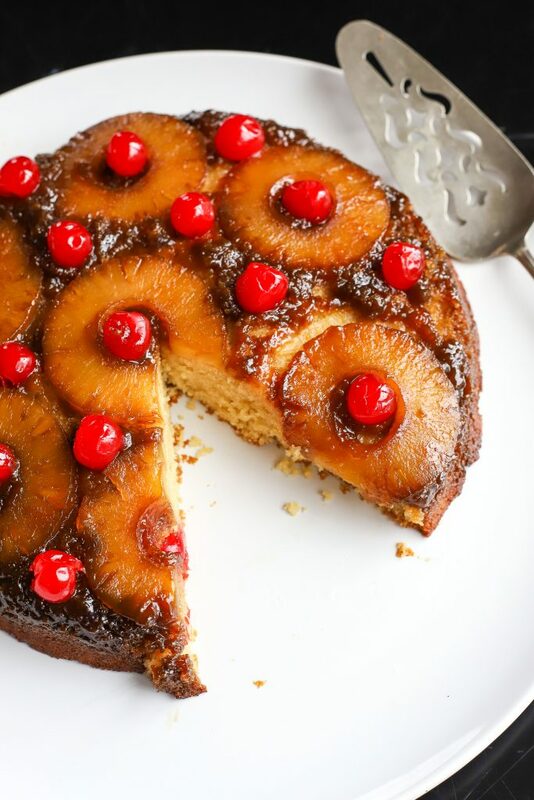 Place skillet in oven while preparing cake part. In a bowl attached to a stand mixer (or with a hand mixer), beat butter and light brown sugar until light and creamy. Add eggs in one at a time, and vanilla. In a small bowl, mix dry ingredients: flour, baking powder, salt, stirring to combine. With mixer on low, alternately add in dry ingredients and buttermilk, starting with and ending with the dry ingredients. Do not overmix--simply mix until just combined. Remove skillet from oven and pour batter on top of pineapple rings. Put back in oven and bake for 45 minutes or until cake is golden and/or a toothpick inserted in middle comes out clean. Remove skillet from oven and let cool for 10 minutes. 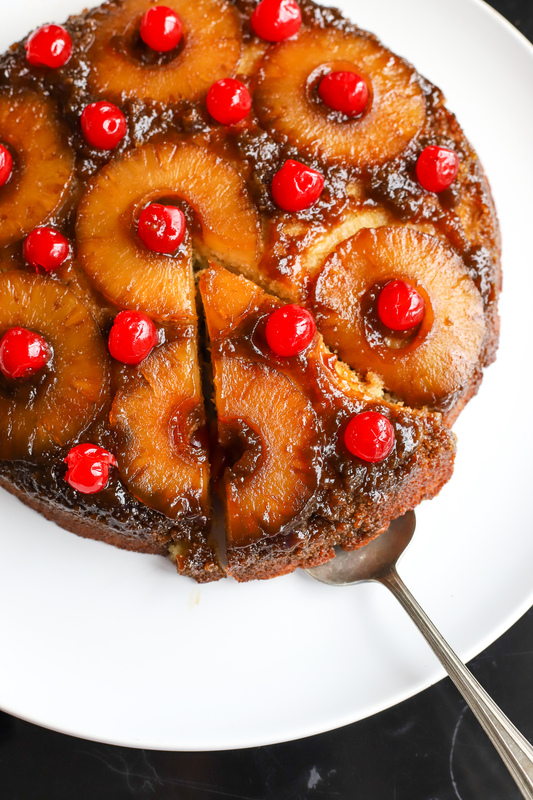 Using a plate/platter that is larger than the skillet, place the plate over top of the skillet and invert cake onto plate. If any pineapples or topping sticks to the bottom of the skillet, simply remove it and place on top of cake.